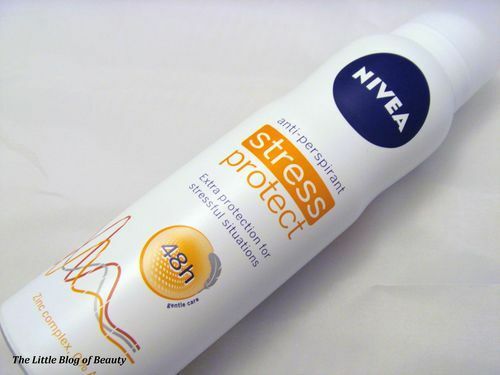 Nivea have recently released a new anti-perspirant which claims to provide extra protection for stressful situations. I am one of those unfortunate people who suffers from excessive perspiration which for one is very annoying and can also be very embarrassing. I don’t know what triggers it but it can be freezing cold and I don’t even particularly have to be doing anything and I can start suffering (really attractive hey!). I have tried several different types of anti-perspirant over the years to try and help with this. I have even tried the maximum protection anti-perspirants which cost over double the price of normal anti-perspirants. Although these do appear to offer some extra protection the downside of these is obviously the price and also I find that they sometimes dry quite powdery, which particularly for dark clothes, can be a bit of a pain. 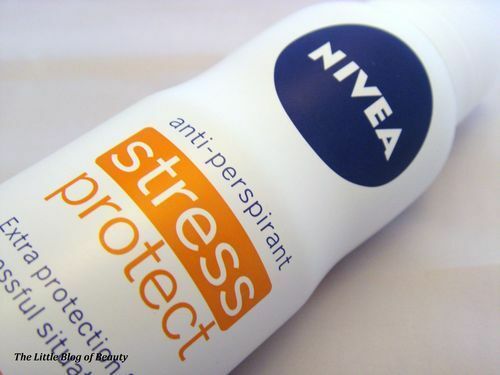 When I received an email from Superdrug letting me know that Nivea’s new anti-perspirant was now available at an introductory price of just £1 I thought I would definitely give it a try. I couldn’t find it in my local Superdrug but I did find this in Boots on an introductory offer of half price. I have been using this for a couple of weeks now and although I have not encountered any highly stressful situations in this time I have actually been very impressed with this. This has a nice spray which is quite gentle and it dries with minimal powder residue (if any at all). To be honest there is not much more to say apart from that this has offered better protection than the anti-perspirant I have been using (and maybe even better than the maximum protection anti-perspirants I have tried) and that I will definitely be repurchasing this in the future. I would recommend for anybody to give this a try, especially if you suffer from excessive perspiration. So far I have only found this in Boots (currently half price for just £1.05) however as this is new I’m sure you will shortly be able to find this in any retailer which stocks anti-perspirants. Guest post - My Boyfriend!